Applications for our 2019 intake for this scheme are now closed. Please check in 2020 for new opportunities. Do you have strong communication skills and speak more than one language? Are you interested in how news is told around the world? If your answer is yes, then read on to find out more about our Future Voices Internship. We are offering the opportunity to be trained up as a Journalist within the BBC World Service for a 6 week placement. The World Service is one of the world’s leading news broadcasters. We are currently available in 41 languages, including English. The World Service Group, all the international parts of the BBC, has a weekly audience of over 346 million people around the world. 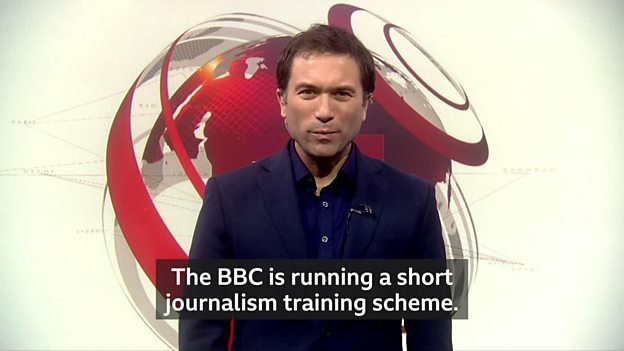 The BBC reports from more locations than any other international broadcaster, and we are always training up bilingual reporters and producers, who can bring us the story in English and another language. This scheme is open to people from all backgrounds and from every corner of the UK. You do not need any journalism skills before you start but you must be able to demonstrate a genuine interest and passion for a career in Journalism. You can express your preference and availability on your application form. You will be over 18 and available to work Monday-Friday for the duration of the placement. You are passionate and interested in international news. You will be a curious storyteller who enjoys communicating stories and experiences of others. We will give you the chance to experience life at the BBC as a journalist, including what it is like working in two languages - English and one other of the World Service languages listed below. During the scheme, we will provide you with a mentor and cover training across radio, TV and digital journalism. You will gain lots of insight and knowledge into the world of international News. This traineeship will give you the confidence and BBC contacts to apply for opportunities to continue developing your skills and experience. Link to 2 pieces of content you have created, that will show us your creativity and demonstrate your passion for news - this could be anything from a tweet, a posting on your Facebook page, a blog, a piece of audio or a short film you have made. Provide 2 sixty seconds clips of why you want to come on this training scheme and why we should choose you. This is your elevator pitch and should be done in both your languages.